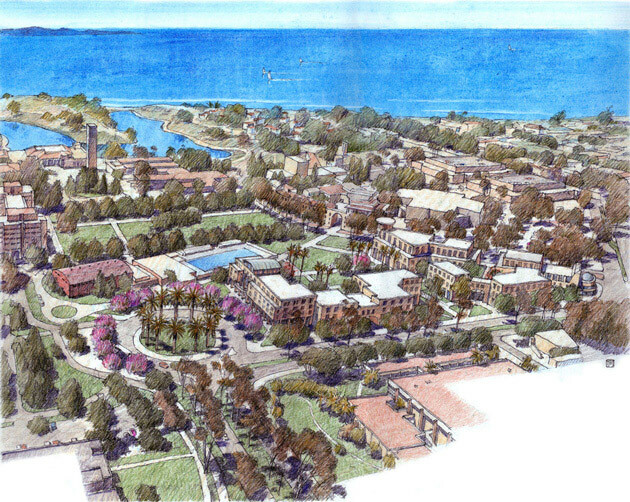 The 100-acre West District Plan will guide the redevelopment of the western half of the University of California, Santa Barbara, creating a physical framework for creating a traditional campus on an area currently dominated by parking fields. It will also create an appropriate edge to the neighboring town of Isla Vista, forming gateways on the access road from Goleta into the campus. The West District contains remnants of a Marine Corps base that once occupied the site. 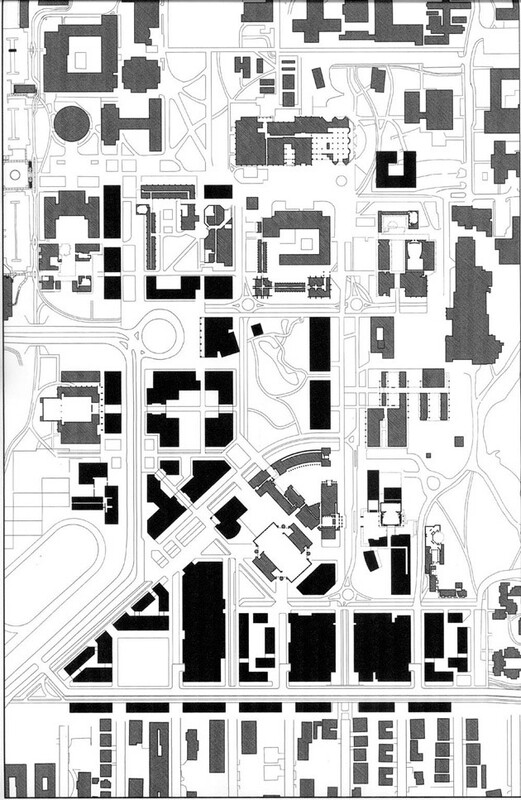 The Plan proposes an incremental redevelopment into a series of quad-centered academic buildings fixed in place by the extension of a network of malls, paths and passages. A series of parking garages wrapped with academic lofts will reinforce the pedestrian-friendly aspects of the campus.